A giant crochet wasp in the Queen’s chambers? Kalediscopic flowers made out of irons growing on the patio? A chandelier made from tampons in the palace rooms? Well yes. 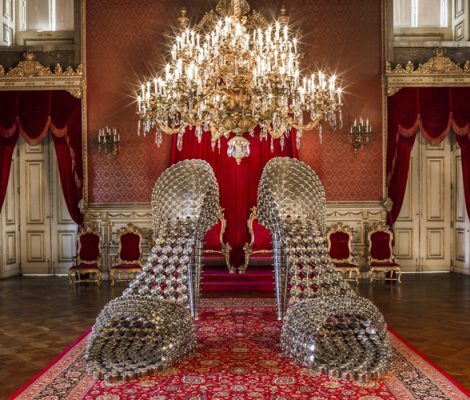 All this and much more can be seen at Joana Vasconcelos exhibition in the Palacio da Ajuda in Lisbon. 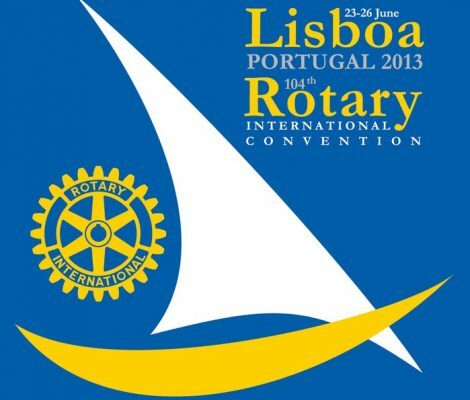 From the 23rd to the 26th of June, Rotary International members are going to meet in Lisbon to celebrate teh 104th International Rotary Convention, an annual event which unites Rotary members form around the world. This will be on be one of the biggest conventions held in Portugal and organisers are expecting 25,000 people to attend. Once upon a time it was only fashionable ladies who brunched however times have changed and now everyone brunches. And the good people of Lisbon are no exception with the Portuguese lifestyle of late dinners and late nights it can only mean one thing…late breakfasts/early brunch. 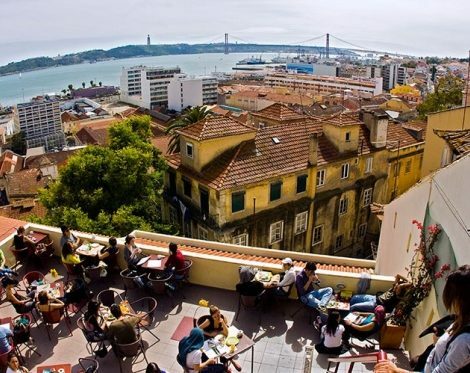 Here are some suggestions for where to find the best Brunch in Lisbon. Imagine waking up in the morning to the bright Lisbon sunshine streaming in through the window, nipping downstairs to pick up some great pastries then sitting down at the kitchen table a fresh brewed pot of steaming tea or coffee on the table and enjoying a scrumptious breakfast looking out over the city of Lisbon and the River Tagus as it comes to life. 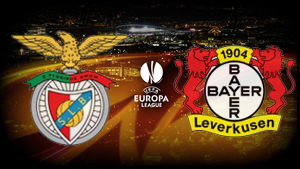 Shortly Benfica and Bayer Leverkusen will clash to see which of these two clubs will make it into the quarter finals of the Europa League. The first leg will be played in Leverkusen’s impressive BayArena on 14 February 2013 and the return leg will be played on 21 February in Lisbon in the emblematic Stadium of Light. Cafe culture in Lisbon is no frivolity. 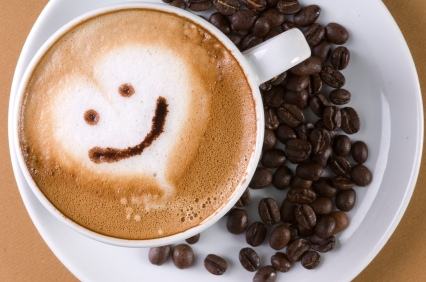 With an estimated 250 inhabitants per cafe, and the Portuguese said to spend more time and money on drinking coffee than any other nation in Europe, the cafes in Lisbon are not just froth but seething machines, vital to the city’s flow of ideas and economy. There’s lots of things to see in Lisbon, so if you don’t have masses of time for your visit, here’s our travel guide to the things that stand out most in the city. These are the main attractions of Lisbon. 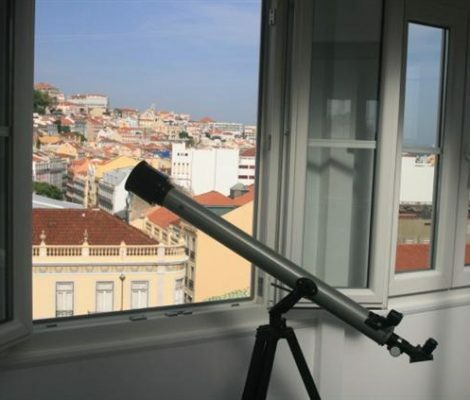 Here at Friendly Rentals we’re some of Lisbon’s biggest fans, and for this reason this week we turn to our top apartment in Lisbon. 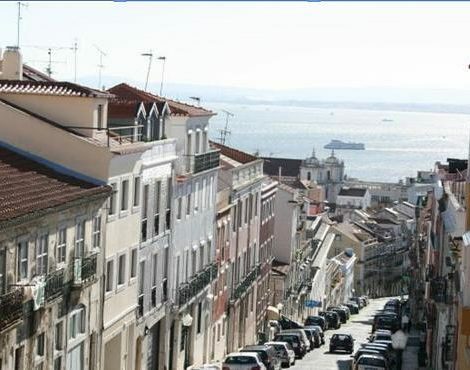 And for this time-honoured title, this time round what could be better than a Lisbon apartment that allows you to see – quite literally – every side of this splendid city? Lisbon has lots of things to show off about. 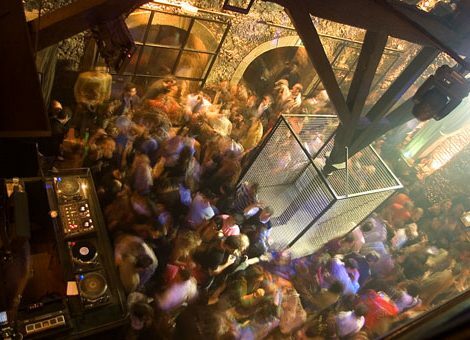 One of them is its vibrant nightlife, which is considered among the best in Europe. In the Portuguese capital, you’ll find something for everyone when looking to go out and enjoy a few drinks. As summer closes in, Lisbon is filled every year with parties, music and colour. Tourists visiting the region may have asked themselves why, and we have the answer. 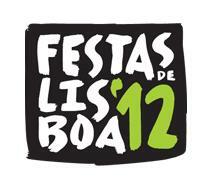 The “Festas de Lisboa” are organised to celebrate the anniversary of Lisbon’s patron saint: San Antonio. Although San Antonio’s day really falls on the 12th of June, the Lisbon celebrations last all month long. Fancy a bit of fun during June? 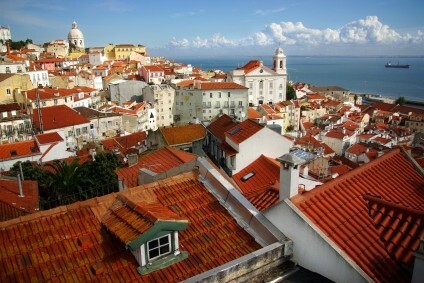 Pack your bags and head to Lisbon!